Our embossed velvet is a luxuriously soft handle, stretchy spandex velour. 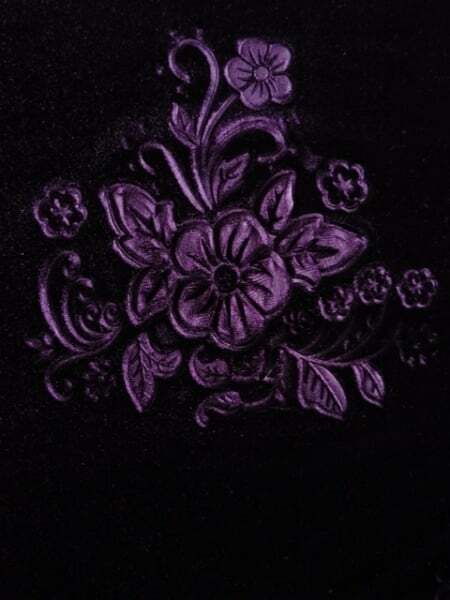 The intricately embossed flowers on the fabric will make your garment or design pop! Sold by the metre. 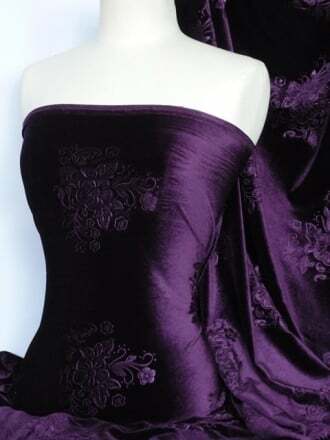 Fabric use: Excellent for dresses, gowns, leggings, midi skirts, crop-tops, draping display features and much more!